Lembeh Strait is situated in North Sulawesi in Indonesia. It is easy to reach from all the major cities in South East Asia and divers from all over the world come here to experience the amazing biodiversity of the area. I usually use this website to book in advance my hotels in Lembeh Strait as they usually have the lowest rates I find. I like it because it's free to cancel and change the dates. Accommodation around Lembeh Strait is limited to a few diving resorts most of the time luxurious. They all offer various dive packages with transfers to Manado Airport, full board accommodation and 3 dives a day. Explore the Tangkoko National Park. 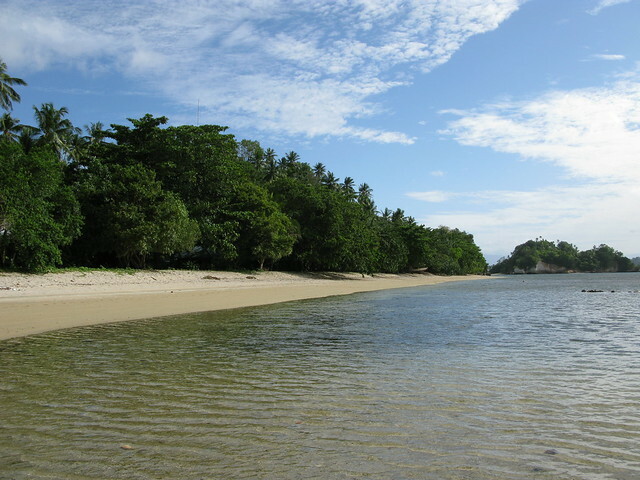 It is located about 2 hours by car from Bitung. It is home of the smallest primate in the world called “Tarsius”. Visit the Bitung Zoo to see the “Tarsius”. These two excursions can easily be arranged for you by your diving resort. If you are planning an upcoming dive trip or travelling to Lembeh Strait, it is a really good idea to invest in travel insurance for scuba diving, because you never know what could happen and when you might need it (because accidents do happen!). I recommend this diving insurance as they offer worldwide coverage and focus on providing scuba divers a quality insurance and medical assistance service. Where is Lembeh Strait located in the world? The Lembeh Strait is located in Indonesia on the Northeast part of Sulawesi Island. It is often combined in the same trip to the nearby famous diving destination of Bunaken Island. How to get to Lembeh Strait? The best way to reach the Lembeh Strait is to fly to Manado. This International airport has direct flights to Singapore (3 hours 20 min flight) with Singapore Airlines or Silk Air. Many flights have a stopover in Makassar, the biggest city of Sulawesi island. You can also go to Manado from Kuala Lumpur in Malaysia or from Jakarta and Bali if you are already in Indonesia. From Manado airport, your diving resort will normally arrange your transfer to Lembeh. First it will take about 2 hours by car to reach the city of Bitung. Then if your diving resort is on Lembeh Island, you will have to take the ferry for 10 minutes in beautiful scenery. Lots of divers dive first in Bunaken National Park for Superb Coral, great visibility and pelagic fishes and then head to Lembeh Strait for amazing Muck diving. Do I need a visa for Lembeh Strait? If you arrive via an International flight, it is possible to get a visa on arrival in Sam Ratulangi, the Manado Airport. Lembeh Strait is all about diving and you will normally spend your days underwater. There are not so many attractions for visitors apart from diving. If you’d still like to explore, you can get around by renting a car with a driver (about 450000 rupiah per day), or by motorbike or take local buses. 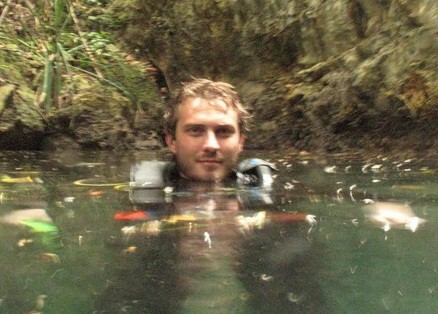 Best Muck Diving in the World! One of the Best spot in the World for Macro Underwater Photography. Amazing Biodiversity! i have 1 question: when is the best time (season) to travel to Lembeh strait? I mean about the weather conditions? I’m interested to go there for X-mas and Newyeas, but i’m affraid to come in the raining season or some realy bad weather. We are staying in Sanur Bali but want to dive the Lembeh Strait – What’s the easiest way to get there? @Katarina : We went there last year in the month of December, just a week before Christmas. Weather conditions were awesome. We were warned up front that weather might not be that great, but we only had a few minor rain showers, and it didn’t affect diving. Visibility in Lembeh Strait isn’t that great anyway, clouds and rain do not affect diving conditions that much. This contrary to diving at Bunaken; where you want optimal conditions (though we were lucky there too with no rain at all for 5 days). That said; Lembeh/Sulawesi is located near the equator. It’s a tropical climate which means it can rain daily, sometimes only a few minutes, but also a whole day. @Beth : Easiest way is to catch a flight from Denpasar. You should check if there are direct flights from Denpasar to Manado. If not then you have two choices: check for flights from Denpasar to Jakarta, then from Jakarta to Manado, or check for flights from Denpasar to Makassar (Southern Sulawesi) and then from Makassar to Manado. From Manado Airport it is a 2 hour drive to Bitung. As an alternative you could consider the more expensive Wakatobi Marine Park in Southern Sulawesi. I read recently that there now is a direct flight from Denpasar to Wakatobi (muck diving is best at Lembeh though). We dove at Lembeh for a few days and it was awesome. It really raised the bar for us when it comes to diving. We discovered we really love muck diving over all other types. I would not pass up a chance to visit Lembeh. Although I haven’t actually been to Lembeh Strait myself I have heard nothing but good reviews from people who have been there when I have picked them up from the airport. Seeing more good reviews and the pictures of this place really makes me want to take a trip so I think I may have to put this on my to do list! Great review. Have you been travelling or backpacking in Lembeh Strait? Please consider sharing your experience by leaving a comment below! Divezone has complete information about scuba diving and snorkelling in Lembeh Strait. For information about the best time to dive, list of fishes spotted in these waters, please check our Lembeh Strait Diving Review.